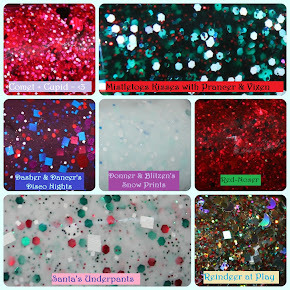 See Sarah Swatch: Twinsie Tuesday: Halloween Inspired! Hey lovelies! Sorry about the late post, I'm currently stuck in California, waiting out the hurricane on the East Coast. I pray everyone's doing well over there!! :/ I came to Cali for a wedding [which was amazing!] and my plane back got cancelled, so... here I am! Worse places to be, right? ;] Anyway, today I have my Halloween inspired mani to show you today. I planned on wearing this on actual Halloween, but I don't have a good blood red polish with me here. #nailpolishproblems. I've seen this over on a lot of polish blogs recently and I have no idea who came up with this idea [let me know if you do! ], but I loved the idea and figured I could totally get away with this! 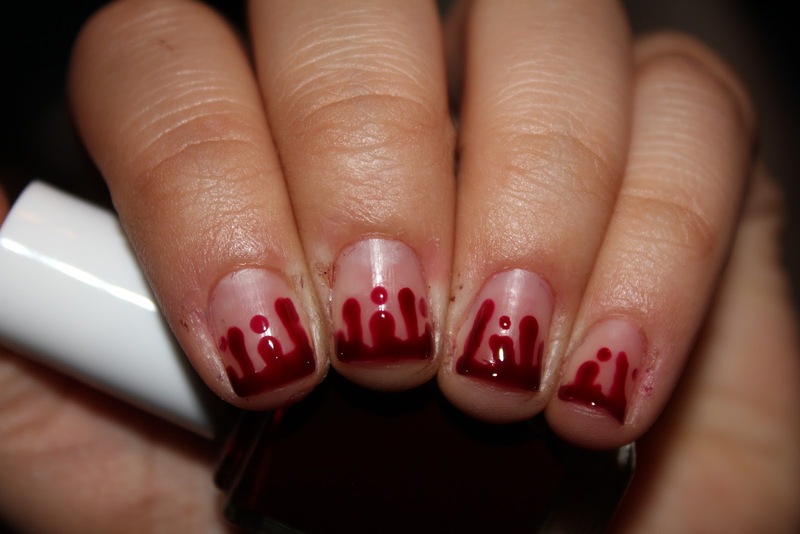 So here's my blood dripping mani using Essie's Clutch Me if You Can on bare nails. Go look at my Twinsie's manis today to get spooked out! Gorgeous! 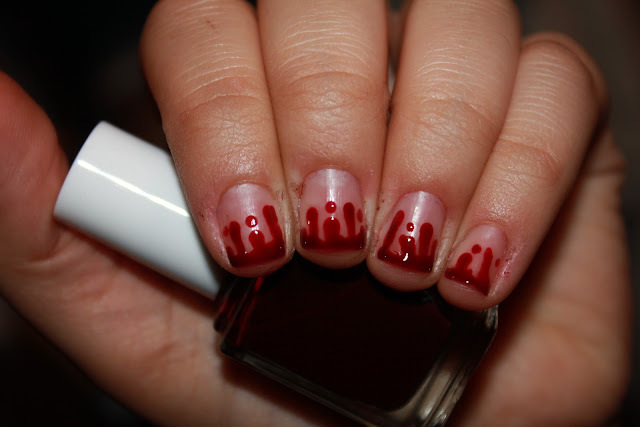 Perfect and cute Halloween mani! Awesome blood! Be safe getting home! The jelly looks so awesome! Ahh omg I love that you left the nails bare underneath. It totally looks real!